Ken Muir has 30 years experience as a communications and marketing professional. He has also held senior management positions in both corporate and SME environments. Ken brings a strong, market-driven approach to public relations, focusing on clear identification of target audiences, effective development of key messages and disciplined execution of communication programmes. Investment of time and money in communications should be closely linked to business and organisational outcomes and he believes a structured approach will always yield the best results. Ken began his career as a journalist in Dunedin at the Evening Star and the Otago Daily Times before spending 20 years in Auckland in communications, marketing and management. His recent experience with Fairfax Media covered both journalism and marketing/management roles, providing him with strong insight into the working of the media and how this can be applied for the benefit of clients. He has written widely about the rural sector (spending a period as farming writer at the Otago Daily Times), as well as computing, resource management and economic issues. He retains a strong personal interest in modern Information and Communications Technology (ICT) which informs all aspects of his approach to communications. 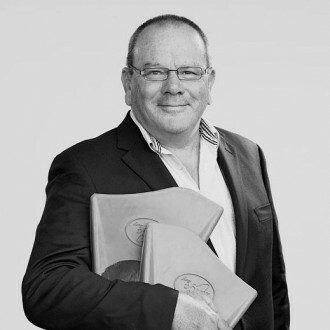 Ken worked for Network Communications in Auckland and ran his own communications and marketing consultancy focusing on local government (with a particular emphasis on community consultation and contract liaison), real estate, ICT, retail and the finance sector. He has worked on successful political campaigns and has had extensive involvement in organising and promoting public events. Passionate about wine, Ken enjoyed a two-year sabbatical working in the wine industry in Marlborough, including a full vintage in 2008. Wine remains a strong interest. He also has experience in the health and safety sector, having worked on ACC workplace safety and partnership programmes, as well as assisting several other government departments.